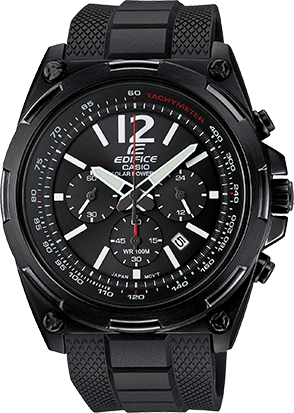 Casio’s EDIFICE line of metal watches capture the essence of speed and intelligence.The EFR529 new addition to the Active Racing Line series evokes a sense of motor sports energy, and features a 1/10th second chronograph. 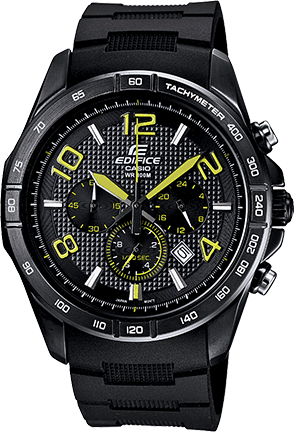 The EFR529-7A also features a comfortable and durable black resin band. 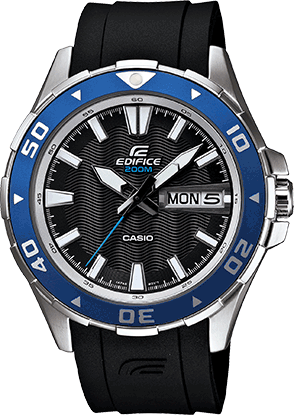 This Casio EDIFICE combines a gray dial with green accent to deliver a sporty look. 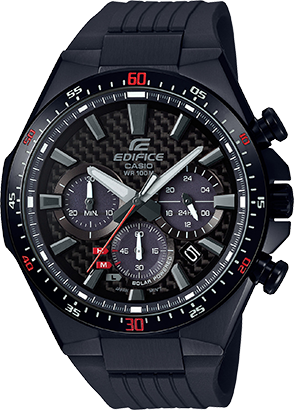 Black resin band analog with silver face.